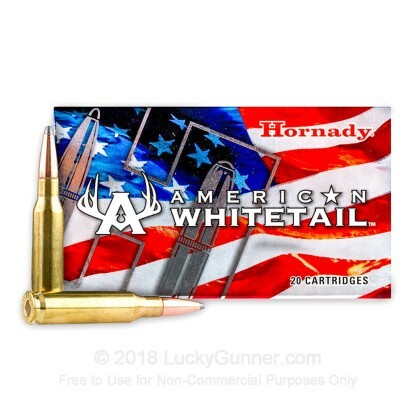 Hornady's American Whitetail 7mm-08 Rem line of hunting ammunition features a 139 grain InterLock Soft Point (SP) projectile. 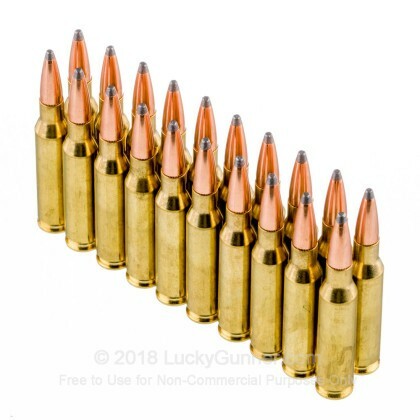 Perfect for taking down that prized buck you've been stalking, these rounds have great ballistics, awesome take down and are highly accurate. You'll fall in love all over again with your favorite rifle once you pull the trigger on one of these Hornady 7mm-08 Rem rounds. Hornady's InterLock Ring technology helps eliminate core jacket separation ensuring that the bullet maintains its mass and energy. 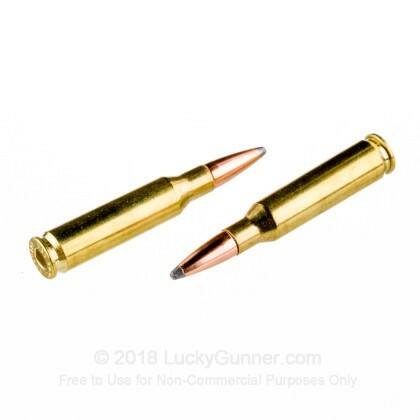 This load is an ideal hunting round for thin skinned medium and big game. 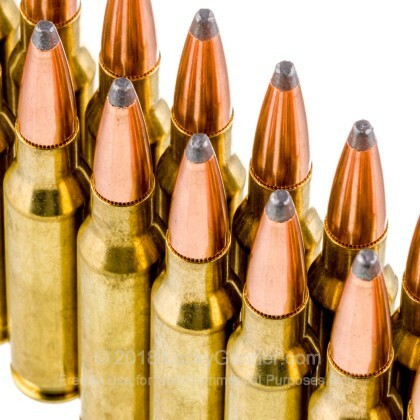 This round is brass-cased, boxer-primed, non-corrosive, and re-loadable. Pick up this 200 round case of premium Hornady hunting ammunition today and get out in the field soon! We don't have any reviews yet for this particular 7mm-08 Remington ammo from Hornady. 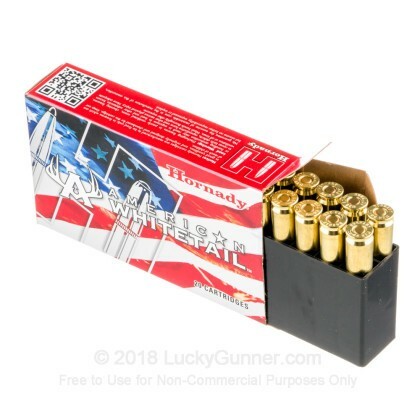 If you'd like to be the first to review this particular 7mm-08 Remington ammo from Hornady, fill out the form below. 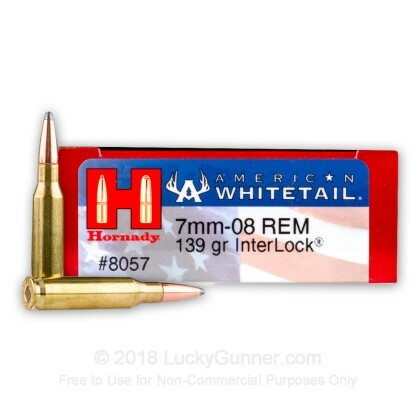 We also have this 7mm-08 Rem - 139 Grain InterLock SP - Hornady American Whitetail - 20 Rounds ammo in stock in a smaller quantity.